Robert Gant is not just a great theatre actor with over six works to his credit but he has made his impact in the American mainstream sector as a film and TV actor. His prominence came after his appearance in Showtime’s Queer as Folk and Caroline in the City. Although he started his career as a lawyer, working in one of the biggest Los Angeles firms called Baker and Mckenzie, he had to forgo that for the glitz of Hollywood. His dedication to the movie industry has seen him feature in over fifty-five movies. Some of his famous projects include Save Me alongside Chad Allen and Judith Light. Read on to know more about his biography, boyfriend or husband, and more. Robert John Gonzalez was born on 13th July 1968 in Tampa, Florida, United States of America. He has a mixed ancestry traced to Irish, Spanish, Cuban, English and Italian. His mother was Ann Gonzalez while his father was Robert Gonzalez (Snr) and also an actor. Growing up, he actively partook in a series of extracurricular activities while in high school, including his appearance in his school’s theatre production. 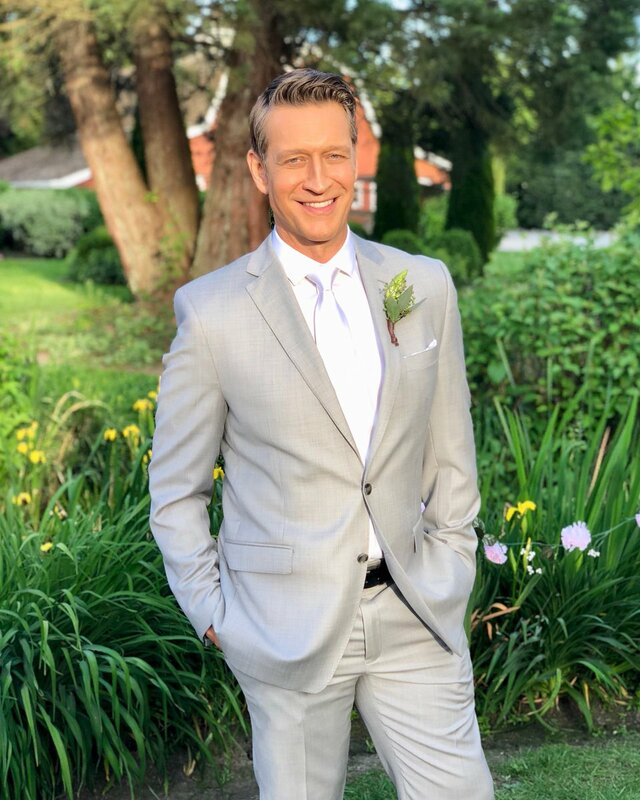 Robert Gant bagged a degree in English literature from the University of Pennsylvania and furthered his education by studying Law at Georgetown University. Interestingly, it was his career as an attorney that brought him to Los Angeles where he started working as a professional actor while practising law. He later settled for a career in the entertainment industry as an actor, featuring in several films and television shows such as, an episode of the TV crime drama titled The Closer (2005) before proceeding to Save Me (2007) which was marketed by Mythgarden. His other appearances in films are, Kiss Me Deadly (2008), Walter (2010), A Million Happy Vows (2015), Summer Of Dreams (2016), Love Is All You Need (2016), the hallmark film Wedding of Dreams, and a lot more. On television, his talent is displayed in the following – Linc’s (2000), Popular (2000-2001), V.I.P. (2002), The Closer (2005), Pepper Denis (2006), CSI: Crime Scene Investigation (2007), Nip/Tuck (2008), Personal Affairs (2009), Bones (2010), Happily Divorced (2011), Free Agents (2011), Shameless (2012), Baby Daddy (2013), Hit the floor (2014), K.C. Underwear (2016), 13 Reasons Why (2017), and many more. On other matters, he has devoted time in a number of philanthropic organizations and political causes such as HRC where he was awarded a National Equality Award for being quite vociferous on the issue of the LGBT community. He also got involved in campaigns, as well as granting an interview in The Advocate Magazine (2002) where he declared himself gay. He also supported organizations like Senior Advocacy for GLBT Elder Housing (SAGE) where he served as a board member. Gant has definitely amassed a substantial wealth from his career as a lawyer and actor but no information is available on his net worth. Is He Gay, Who Is The Boyfriend Or Husband? The sexual orientation of the Tampa native is an open one as he admitted in an interview to being gay which puts to rest all speculations about the actor’s sexuality. He is not yet married but currently has a man in his life. The smooth American actor was previously in a romantic relationship with a dynamic television personality and stylist known as Kylan Douglas but they broke up in December of the same year they met, leaving many wondering what actually was the cause of their split as they seemed so adorable together as a couple. However, the duo is still very close friends irrespective of their split. 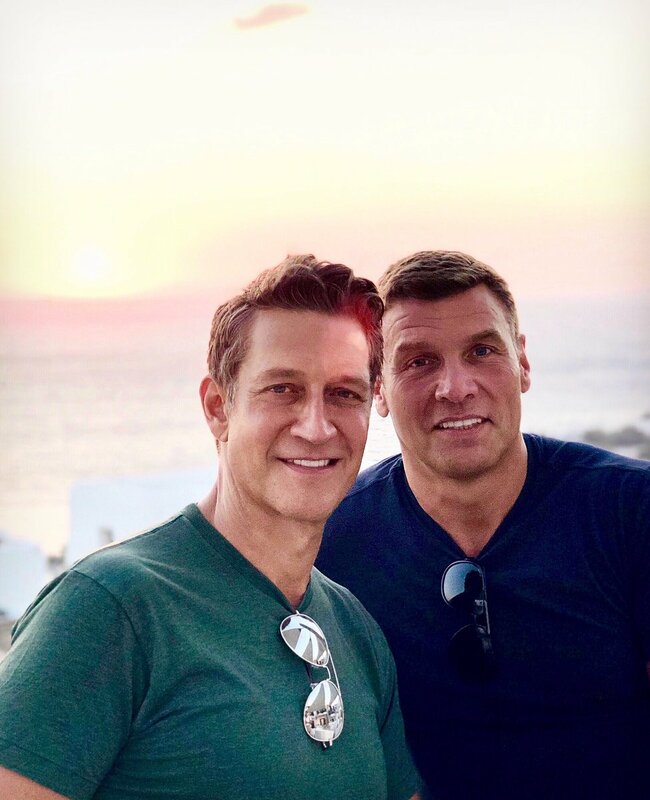 If all his social media posts are anything to go by, then the Queer As Folk star has made a come back quietly on the dating scene with his new gay lover simply identified as Davis whose Twitter handle is @GuyFDavis. They met in April 2017 and after a coffee date, they have virtually become inseparable, appearing at several functions and events together. Guy Davis who is three inches taller than Robert Gant’s 6 ft 1 inch, even planned Gant’s 50th birthday in July 2018. If the love between the two love birds is as strong as it looks from the outside, then perhaps, we may be hearing the wedding bells anytime soon.